The competition to identify and reward the country’s top dairy farm has opened for 2016, with dairy co-ops throughout the country invited to nominate their top milk suppliers for the NDC & Kerrygold Quality Milk Awards, before the closing date of Friday 13th May, 2016. 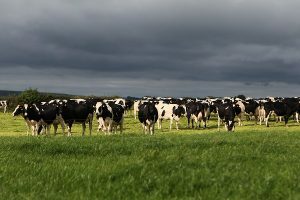 “When we visit the short-listed farms every year as judges we see at first hand the genuine pride of Irish dairy farmers in what they do on a daily basis,” said Dr. David Gleeson, Teagasc. “It is a pleasure for us as judges to share in their experiences. What stands out is dedication to consistently doing the simple things right; and a heartfelt wish to carry on the tradition of the family farm, passing on the farm as good as, or better than it was before to the next generation.” A celebratory campaign, under the heading #MadeForThis, will focus on the importance of heritage and the sense of collective kinship that exists in farm communities. “We have to recognise that global milk pricing is having an impact and times are genuinely very challenging for many Irish dairy farmers at the moment,” says Dr Jack Kennedy, Dairy Editor of the Irish Farmers Journal, also on the national judging panel. “It is all the more reason to identify and to highlight top quality farm practices. Those best practices which drive quality standards on the farm often go hand in hand with improved efficiencies and economically sustainable practices,” said Dr. Kennedy. The judges will initially undertake detailed assessments based on the nomination forms and technical reports spanning a full 12 month period in order to select a short-list of finalists. The judges will then arrange to visit each of the finalist farms for an inspection. In addition to identifying the top dairy farm, the national judges reserve the option to award specific category awards in sectors which stand out from year to year, such care for the environment or animal care and welfare. Interestingly all of the 2015 national finalists were registered with Bord Bia’s Sustainable Assurance Scheme with pro-active farm practices related to biodiversity or conservation of wildlife, to demonstrable work on soil nutrient planning or water, extending to initiatives such as rainwater harvesting. Please note that the minimum qualifying standard for entry for this national competition is TBC of 15,000 or less/ml average per month; and average SCC of 200,000 or less/ml with no count greater than 400,000 ml in any given month of the year in question. The results of the national awards are expected to be announced in October.